A lot has been happening at Theatre New Brunswick over the past few seasons. In addition to celebrating 50 years of professional Made-In-New-Brunswick theatre, we’ve also opened our own theatre space (Open Space Theatre), increased the number of workshops and actor training opportunities we offer, and have made our return to provincial touring. As we near the beginning of our 51st season (2019-2020), we have two more upcoming anniversaries to celebrate. Our Theatre School will be turning 20 years old and the TNB Young Company will turn 45! 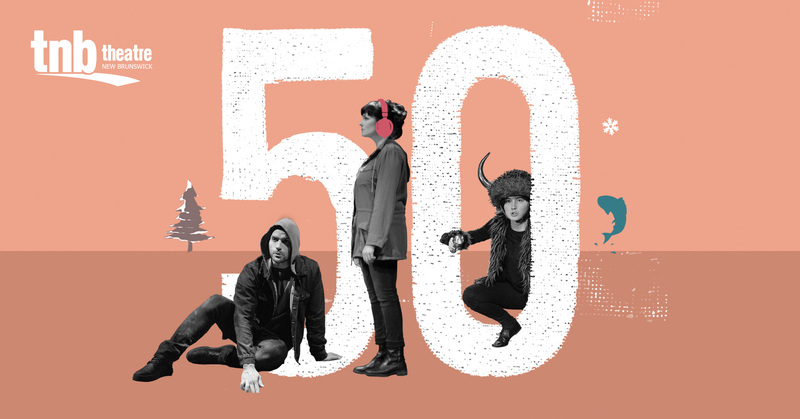 Your support will help make the next 50 years of Theatre New Brunswick as exciting as the last. We love theatre. We love creating theatre. We love creating theatre in New Brunswick. We love welcoming artists from across Canada and the world. And we love sharing our work, our stories, and our passion with our audience. Thank you for helping us to do what we love and share it with audiences and artists in NB and beyond. Many Hands make light work! We are grateful for and inspired by your support!